This is the best thing I never asked for. There was a beautiful new transfer of GIRL WITH GREEN EYES on TCM (in the US) recently and I wondered if Criterion would ever release a Woodfall Films set. They won’t, but it’s nice to see that the BFI will. Very interested in this. I suspect TOM JONES will still be cut though - all home releases have had cuts for animal cruelty (a cockfight) up to now. Is there another Best Picture Oscar winner that's still cut in the UK? Torn. A Taste of Honey was one of my favorite discoveries of the last few years. I've been holding off on Loneliness of Long Distance Runner, assuming a new restoration was bound to happen based on what I perceived to be its stature. It's the extras that I'm most looking forward to. Just the kind of thing the BFI excels in (particularly given its mission statement).With its archives and unique set of personal contacts (most of whom will be longstanding BFI members) this should be one of the highlights of the year and a great companion to its Free Cinema set. I really hope they do something about the box art. Hire the guy who did the Jarman box, please? Whilst the Jarman box is stunning I really like this. Colours are bang on period. I don't think its a fair comparison. Don't people ever get tired of the fake effects to try and make something look "real" and gritty and handmade, like the scissor cut marks and the registration mistake / stamp effect on the subtitle? And will I buy this in a heartbeat? Yes. GaryC wrote: Very interested in this. I suspect TOM JONES will still be cut though - all home releases have had cuts for animal cruelty (a cockfight) up to now. Is there another Best Picture Oscar winner that's still cut in the UK? And the director's cut of TOM JONES has just been passed uncut (12 certificate) and the BBFC site says "previous cuts waived", which is curious as the cuts were for animal cruelty. I wonder if the BFI will be resubmitting the theatrical cut and if that will be passed uncut too? GaryC wrote: And the director's cut of TOM JONES has just been passed uncut (12 certificate) and the BBFC site says "previous cuts waived", which is curious as the cuts were for animal cruelty. I wonder if the BFI will be resubmitting the theatrical cut and if that will be passed uncut too? And that has indeed happened. Any word on final specs/extras? I post full BFI specs as soon as they hit my inbox. But these ones haven’t yet. Having already the individual BFI releases of Saturday Night and Sunday Morning & The Loneliness of the Long Distance Runner, I'm especially interested in knowing if these will be new restorations or if they will build on the existing releases. Ah right, I've overlooked the precision, it seems. Thanks for the reminder ! In the meantime there is an excerpt from a recent BFI panel discussion that has just arrived on YouTube, so presumably the full discussion might be an extra feature. 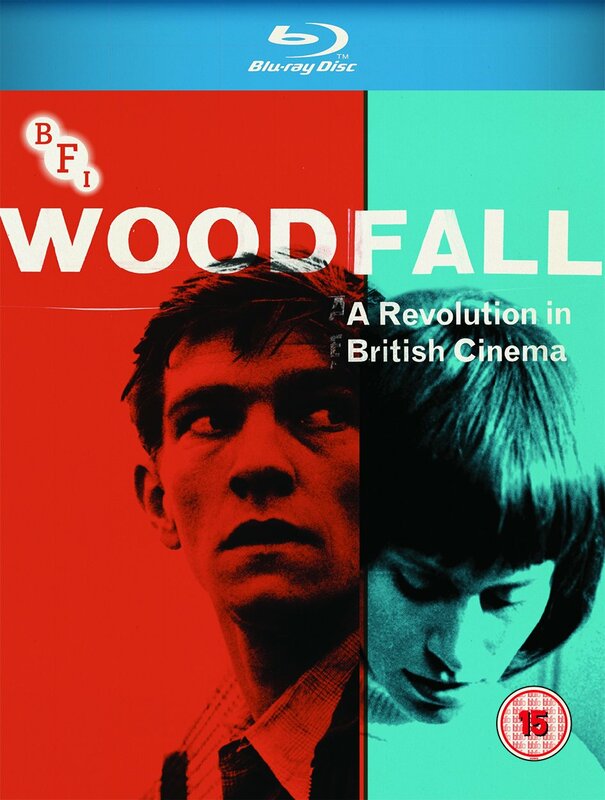 The BFI granted me a sneak preview of the final Woodfall extras - and it's one hell of a package. The thirteen year gap between me discovering New Wave British Cinema at 30 and listening to the first Television Personalities record has been eye-opening! This is exactly how to convince me to buy films that I don't even really like that much. What A Disgrace wrote: This is exactly how to convince me to buy films that I don't even really like that much. Or to re-buy several films one already owns. The extras have knocked off the fence onto the 'OK, I'll buy' side.